Don’t rely on standard homeowner’s policies or commercial property insurance to cover you in the event of a major storm or flood. The sad truth is most standard policies will not cover your losses from flood damage, so you will require an excess flood insurance policy to bridge your coverage gap and keep you protected. That depends. For some homeowners in especially high-risk regions, excess flood insurance may actually be required. For example, federally funded mortgage lenders may require property owners in high-risk areas to acquire flood insurance to safeguard their investment. For others, it may not be required. It’s safe to say that if you own a home, commercial property or investment property in coastal regions that are prone to flooding or inland regions with substandard drainage, it might be a wise investment to protect your assets. Consider what you would do if you did suffer major flood losses. Would you have the finances to repair your property? Replace your belongings? Restock your company’s inventory? You don’t want to have your entire legacy wiped out by a single storm, so if you answered no, consider investing in your future by purchasing a flood insurance policy from Five Brothers Insurance. 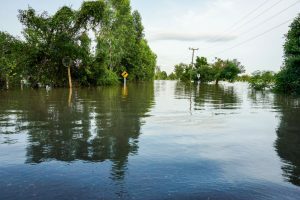 If you own a home or commercial property in Tampa, Orlando, Clearwater, St. Petersburg, Lakeland or the surrounding regions and have been wondering, “ Do I need flood insurance? ”, wonder no more. Simply reach out to the excess flood insurance experts at Five Brothers Insurance today with any questions you might have or to request quotes to insure your property. We offer a broad range of personal and commercial insurance policies, including flood insurance, hurricane insurance, windstorm insurance, business insurance, life insurance, auto insurance and much more, and our team of knowledgeable agents looks forward to serving you! Contact us now to speak to a dedicated agent.